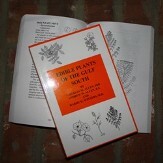 Great books for the naturalist or plant lover in your family written by Dr. Charles M. Allen. These cover herbaceous and woody plants of Louisiana and adjoining states as well as edible plants of the Gulf South. Charles M. Allen, PhD, Andrew W. Allen, B.S., and Harry H. Winters, M.D. Charles M. Allen, PhD, Dawn Allen Newman, M.S., and Harry H. Winters, M.D. An excellent guide to the wildflowers of Louisiana from the guy who knows the Louisiana flora like few others. Well written with excellent information and loads of beautiful color photos. This is a must for anyone who appreciates the beautiful wildflowers that grace Louisiana and neighboring areas. 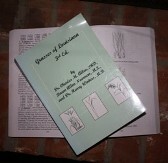 Written by Dr. Charles M. Allen, Ken Wilson, and Dr. Harry Winters. M.S. Photography by Ken Wilson. Item #9721. An in depth look at the woody plants that can be found growing across Louisiana as well as much of the Gulf South and beyond. This reference provides detailed information for identification, growing regions, and much more. 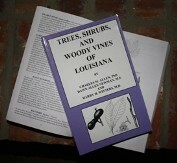 Trees, Shrubs, and Woody Vines of Louisiana is a book that should be on anyone's shelf who appreciates native plants as well as botanists and taxonomists! Item# 9543.